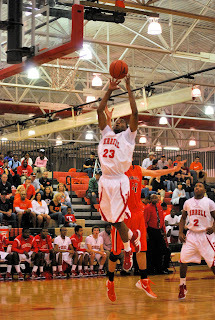 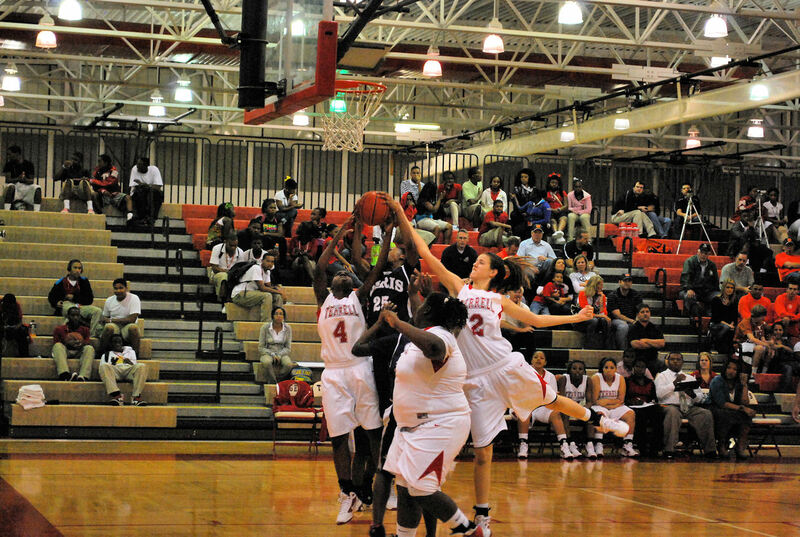 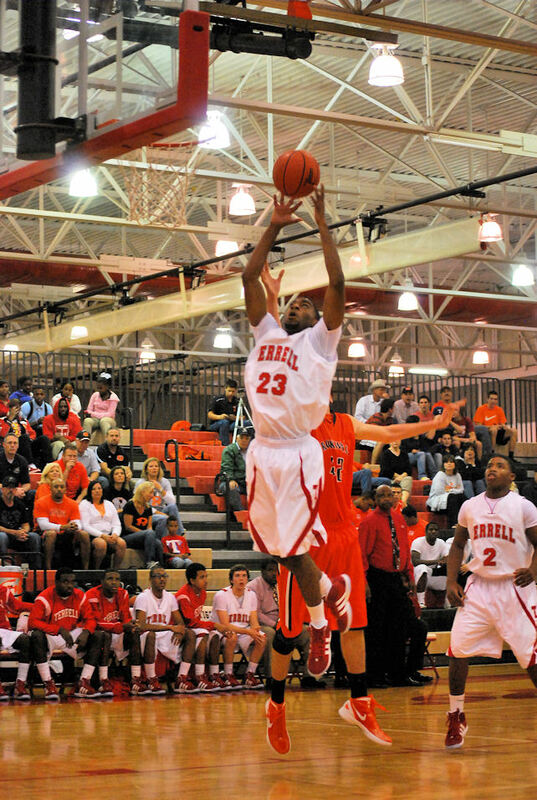 The Terrell Tigers boys and girls basketball teams both were in action last night at the complex. 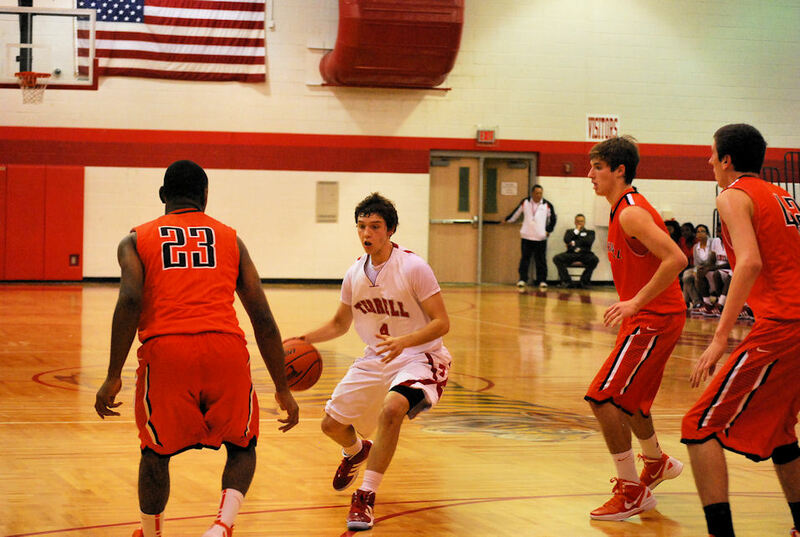 The Lady Tigers took hosted Paris in the opening game and the boys team took on Rockwall in the night cap. 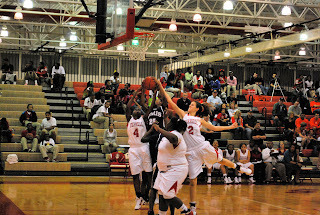 The Tigers guard looks for an opening.